If you’ve listened to The Life of Pablo, Kanye’s new album, you might have noticed a few familiar voices barking throughout a couple of songs. That’s because Kanye actually sampled Street Fighter II (as is tradition for rap artists, by this point). I didn’t like this song at first—it seemed to bite on Drake a bit too much—but it’s grown on me now that I’ve heard the final version a few times. The Street Fighter sound clips act as a really good punctuation at the end of verses, and the album version also seems to have more of its own identity than the original SoundCloud upload. I like the changes. It’s not the only song that’s going to be tweaked, either. Seems like games aren’t the only things with day-one patches nowadays! Curiously, you can hear the PERFECT clip on a different song in The Life of Pablo: at the start of “Pt. 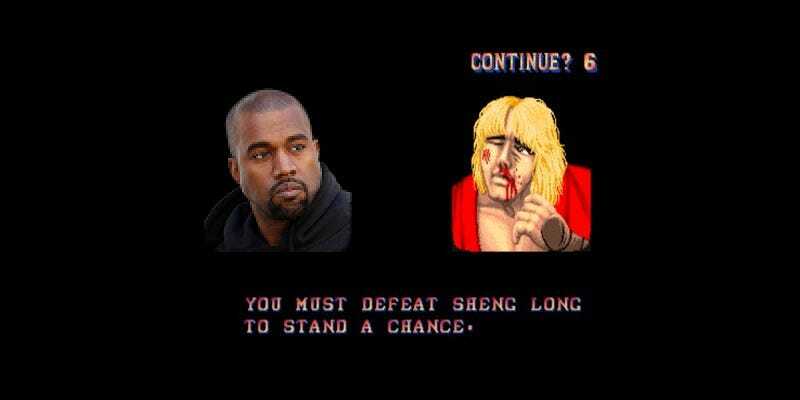 2.” I guess Kanye likes Street Fighter. We haven’t gotten a chance to play it ourselves, so we can’t say. In the meantime, I’ll keep FACTS on repeat. It’s far from the first time a big rapper has sampled a video game, but damn if this particular instance isn’t catchy anyway.